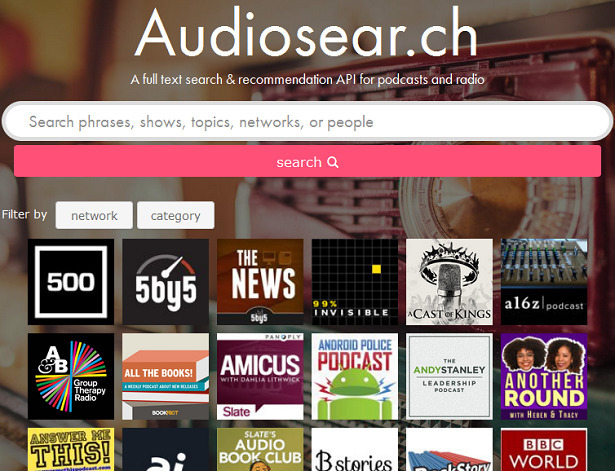 Apple is said to have bought Oakland's audio tool developer Pop Up Archive, known for the audiosear.ch podcast search engine, in a move that could bolster the company's own podcast service. Nieman Lab reported on Tuesday that Pop Up Archive, the company responsible for the now shuttered Audiosear.ch podcast search engine, is now in Apple's hands. Pop Up Archive was founded in November of 2012, by Anne Wootton and Bailey Smith. Apple issued its traditional response to queries about acquisitions. It generated $1.4 million in funding across five funding rounds. The audiosear.ch service gave a "Buzz Score" on a 100-point scale based on iTunes charting and reviews. As recently as April, the company was actively refining the technology. Apple issued its traditional statement to Nieman Lab about the acquisition. "Apple buys smaller technology companies from time to time," Apple told Nieman Lab. "We generally do not discuss our purpose or plans." It is unclear how the acquisition relates to Apple's rebranding of the Podcasts service in April, or its announcement in June that it would roll out more in-episode data for content producers.